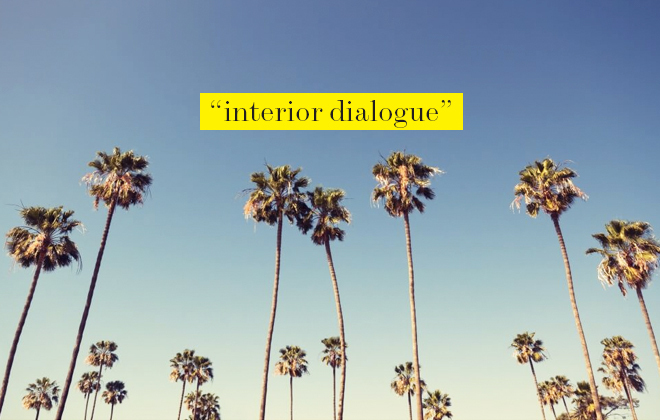 Welcome to our new series, Interior Dialogue, where I talk with friends, industry experts, artisans and makers from all around the world to find out their take on the best of the best through their own “interior monologue” lens. For our inaugural post, I couldn’t think of anyone better to talk with than one of my dearest friends, the immensely talented designer Jeff Andrews of Jeff Andrews Design. Jeff and I have known each other since 2003 when I lived in Los Angeles, and we were fast friends from the minute we met! He has impeccable taste, loves to travel just as much as I do, and appreciates the finer things in life. He also happens to have a heart of gold and is one of the most genuine people I know. That’s me on the left, and my always handsome friend Jeff on the right. In case it was in question. 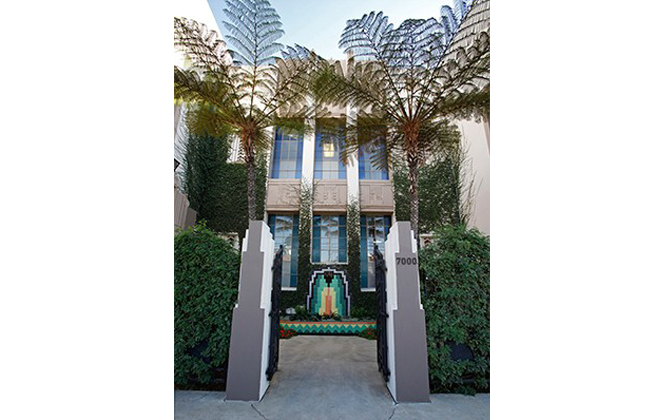 It has been so exciting to see his passion for interiors grow into such a huge success in the design world. Not only does his interior design firm attract an ever growing roster of high profile celebrities, but this spring he launched his first product line, Glazed, a collection of wallpapers inspired by his love of antique ceramics. That’s not all, my genius friend has also created his first-ever furniture collection with A. Rudin. But more on all of that at a later date. Let’s get to the dialogue! Whenever I’m back in lovely LA, Jeff always knows where to be, what to eat, and who to see, which is why I asked him to put together a short list of his top picks for LA. And with his regular mentions in Elle Decor, Town & Country, and Vanity Fair, I’m so lucky to snag him to share with us his favorite Dress, Dine, Live, and Decorate picks! Here we go. I just love this fabulous exterior of Just One Eye! 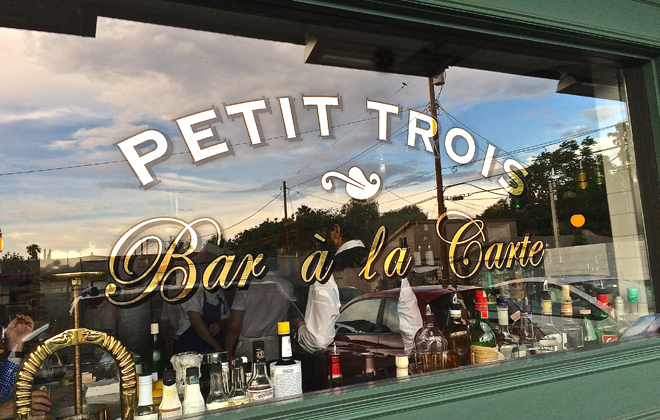 Next time I am in LA, Jeff and I will relive our Paris trip from a few years ago. This time I can drink wine, too. Right, Jeff? 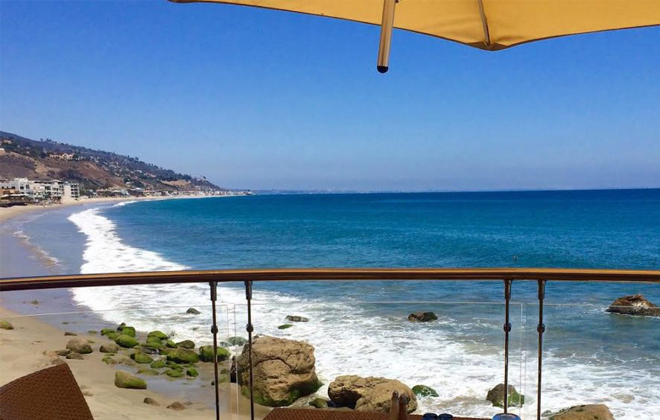 The amazing view from Malibu Inn. Could sit here for days. The delightful interior of Garde. I could easily do some serious retail damage here! 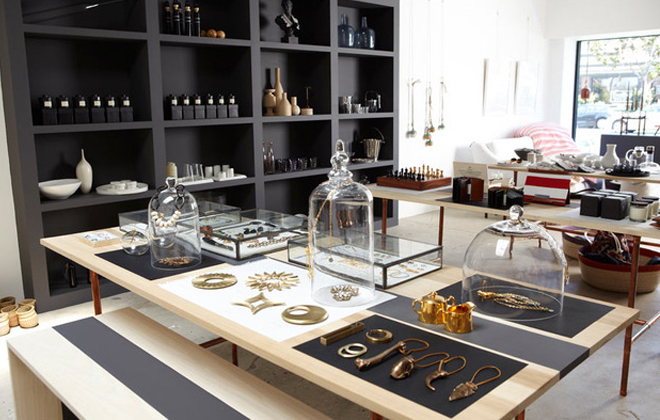 Thank you, Jeff for sharing all of your fabulous L.A. picks! Stay tuned for more Interior Dialogue with other friends and industry insiders.